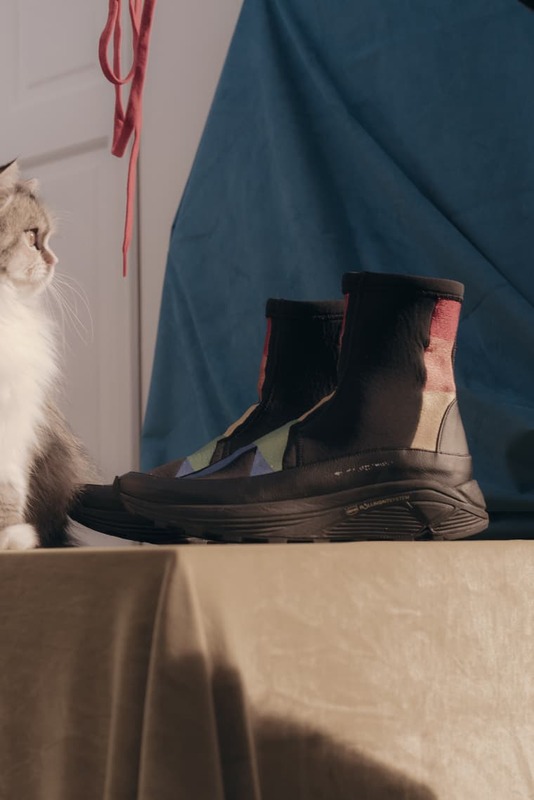 Foster kittens and vegan shoes. That’s it. 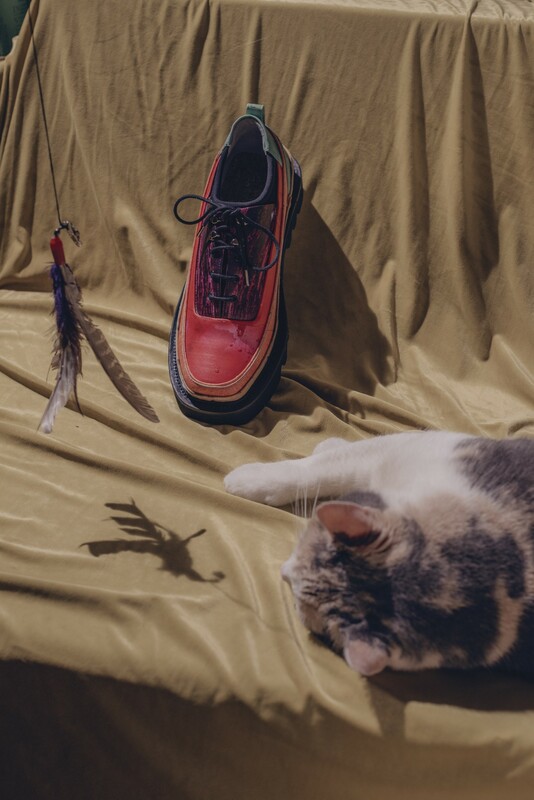 Lacey and Finnegan hang out among our favorite vegan shoes. Clockwise from left: Converse Cons x Chocolate Chuck Taylor All Star high tops, Rombaut x BARRAGÁN ODDY drawstring-bag derbies, Rombaut Padi boot, Dr. Martens vegan 1461, Rombaut Rohan low skate shoe. 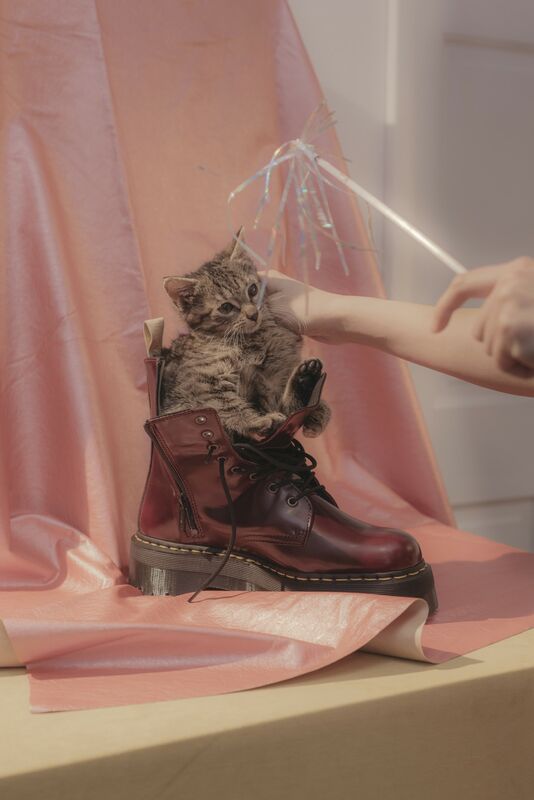 ↑ Lacey sits in a Dr. Martens vegan Jadon II boot. 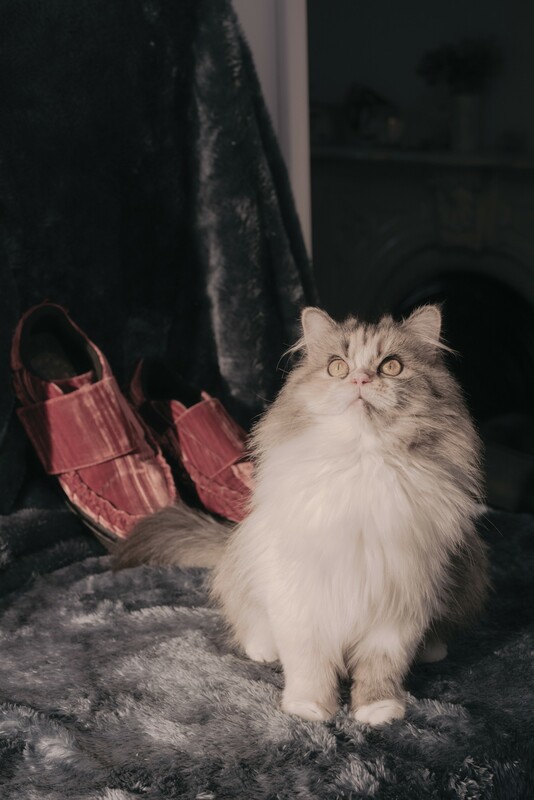 ↑ Greta poses with Rombaut x BARRAGÁN ODDY drawstring-bag derbies. 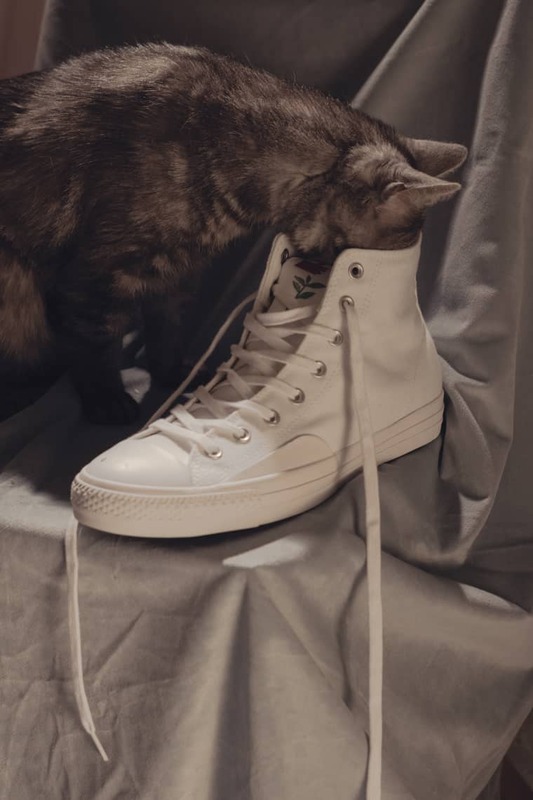 Sid inspects Converse Cons x Chocolate Chuck Taylor All Star high tops. ↑ O'Malley plays by a Rombaut layered fruit and vegetable print OLOV derby. 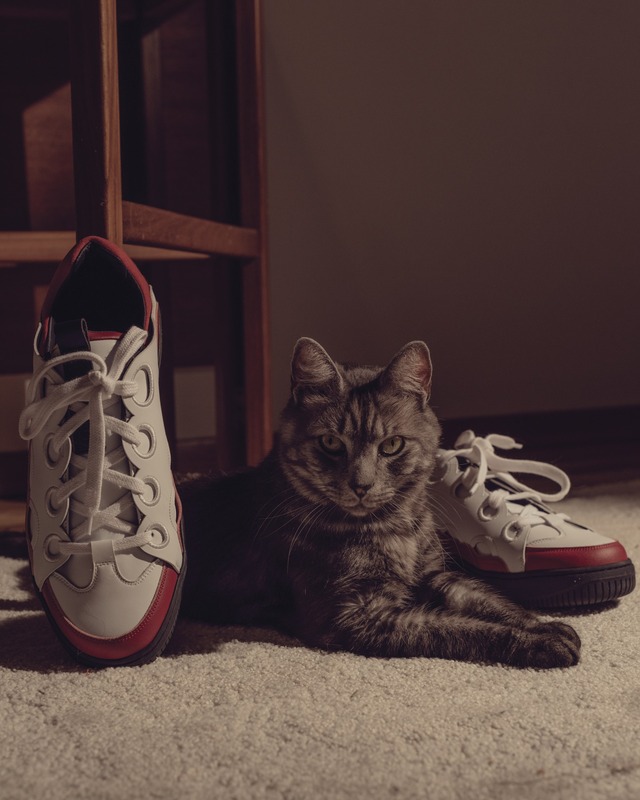 ↑ Sid nestles between Rombaut Rohan low skate shoes. 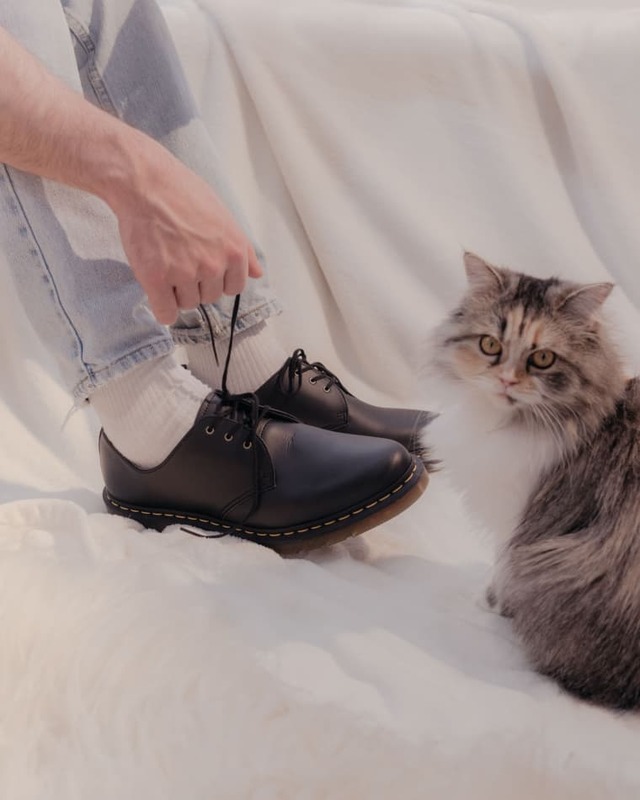 Greta poses next to Dr. Martens vegan 1461 (left) and Rombaut Padi boot (right). The cats in this story are all fosters, taken in on a short-term basis by volunteers to prepare them to be adopted and to free up shelter space for new animals. Since many animal shelters euthanize most of the animals they take in, fostering saves lives and teaches animals how to be loved. It rules! Seek out your local humane society if you’re interested in becoming a foster parent — most rescue organizations pay for expenses. Visit the ASPCA for more information on fostering.